Make custom equipment nameplates on a moment's notice with our metal stamping presses. With a nameplate stamping press at your fingertips, print important identifying information on any metal surface, any time. Flat face stamping presses imprint clear, easy-to-read information on a wide variety of surfaces. Create your own metal equipment nameplates with nameplate stamping press machines. 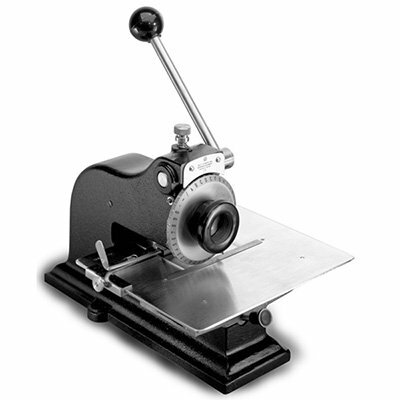 Choose from standard size to hand-held metal stamping machines that print easy-to-read nameplates quickly.